Washington, DC - One of President-elect Barack Obama's top priorities will be to rethink the "war on terror" from the ground up. That means following through on his campaign promises to close the US military prison at Guantánamo, which would be a major symbolic achievement. Obama's administration-in-waiting is now crafting plans to bring several dozen detainees to the United States to stand trial, according to Associated Press reports, but it should prepare to encounter hurdles. 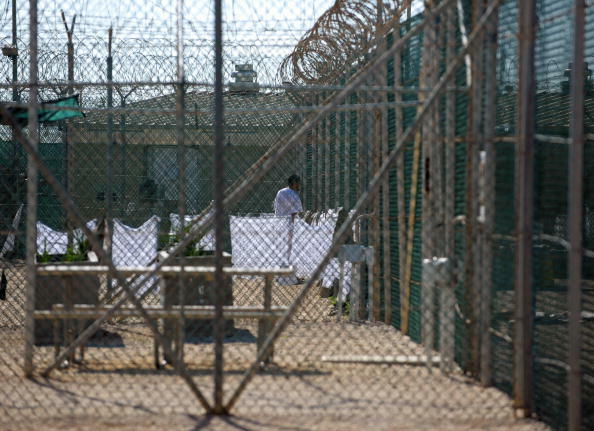 The current US government is wary of closing Guantánamo. Among its biggest concerns is that prisoners will return to the battlefield upon their release. However, available data indicate otherwise. The Obama administration could learn quite a bit from the Saudi example of detainee rehabilitation. Since May 2003, approximately 117 Saudi nationals have been repatriated from Guantánamo, bringing the total number of Saudis detained there to under 20. To date, none of the former Saudi detainees has returned to the battlefield. Following a series of deadly domestic terrorist attacks in 2003, the Saudi government began an ambitious and wide-ranging counterterrorism effort. In addition to traditional security and law enforcement efforts to kill or capture terrorists, the Saudis launched a parallel strategy to combat the ideological justifications for violent extremism within the Kingdom. This "soft" approach, first formulated a few years ago by a Yemeni judge, Hamoud al-Hitar, is made up of three components: prevention programmes to deter average citizens from becoming violent extremists, rehabilitation programmes designed to encourage supporters and sympathisers to renounce violence, and aftercare programmes to prevent recidivism and reintegrate people into society. Similar programmes have already begun in Singapore, Egypt, Malaysia, Indonesia and Iraq, the latter with help from a US Marine Corps task force. One of the keys to the Saudi program's success is the extensive social support given to a detainee and his family, intended to offset hardship and short-circuit further radicalisation. Persuasion, cooptation and even coercion all play a role as Saudi authorities use traditional cultural factors such as honour, family hierarchies and powerful social obligations to prevent recidivism. Another major concern about closing Guantánamo is the large number of Yemeni prisoners held there. According to recent figures, there are about 101 Yemenis currently detained in Guantánamo, making them the largest group of prisoners from a single country. Yemen is one of the poorest countries in the world, so providing adequate social programs to rehabilitate freed detainees would be difficult. But its government is committed to repatriating its nationals. The United States and other governments can help offset the costs associated with doing so – a far more attractive option than indefinite detention. Plenty of research has been done about how individuals become radicalised, but much less is understood about how people transition out of such behaviour – and they do, to a remarkable extent. My own research, and that of my co-authors in Leaving Terrorism Behind, finds that participation in violence is not a permanent aspect of a militant's life. Of course, some hard-core extremists can never be rehabilitated, and as Lawrence Wright wrote in a recent New Yorker article, you can only hope for so much, moving people a bit at a time. To be sure, some detainees considered an extreme danger to the United States can never be repatriated. Among them are at least two "high value" detainees, including alleged 9/11 conspirators Ramzi bin al Shibh and Walid bin Attash. And of course there was the case that occurred this past May when Abdallah Salih al-Ajmi, who was repatriated to Kuwait in 2005 after three years in "Gitmo" and acquitted of terrorism charges by a Kuwaiti court, killed seven people in a suicide bombing targeting Iraqi security forces in Mosul. These individuals should be tried as war criminals, or – better yet – as regular criminals, not in secret courts or military commissions. It remains for Obama to decide what will happen to them, but transparency, due process and legality are some of the strongest weapons in the struggle against violent extremism. These perpetrators must be brought to justice for their actions and, as long as they are hidden away at Gitmo, that cannot happen. However, these men are a minority within a minority, and the Obama administration will have to show that terrorism emanating from the Muslim world cannot be defeated through traditional security measures alone. Christopher Boucek is an associate at the Carnegie Endowment for International Peace. This article originally appeared in The Christian Science Monitor and was written for the Common Ground News Service (CGNews).